Tuesday has rolled around again finally. Here are some random things. One. I was didn't get around to blogging yesterday. Whoops. Oh well, life happens sometimes. Two. I got to spend 2 days at the pool this weekend with a few of my gal pals. We got to catch up and relax. It was much needed. And the view was awesome! Three. Have you ever heard of Hootsuite? If you have, then you know what's up. If not, you MUST check it out. I heard about it from Rosy @ A Joyful Kind of Life. You can SCHEDULE your tweets, see all of your retweets, keep up with your Instagram feed, see your Gmail account, utilize YouTube, Google+, Tumblr, etc., and even view your Disqus comments (this one is a paid monthly subscription, however most of the features are free). Check it out. Five. This is starting to happen to me more often than not. 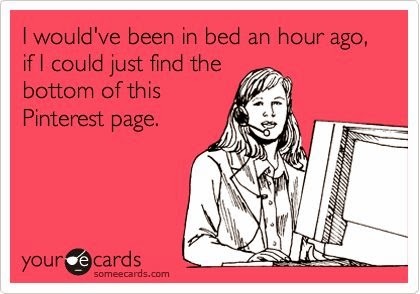 Oh, what would the world be like without Pinterest? It's scary to think about. Six. This song. 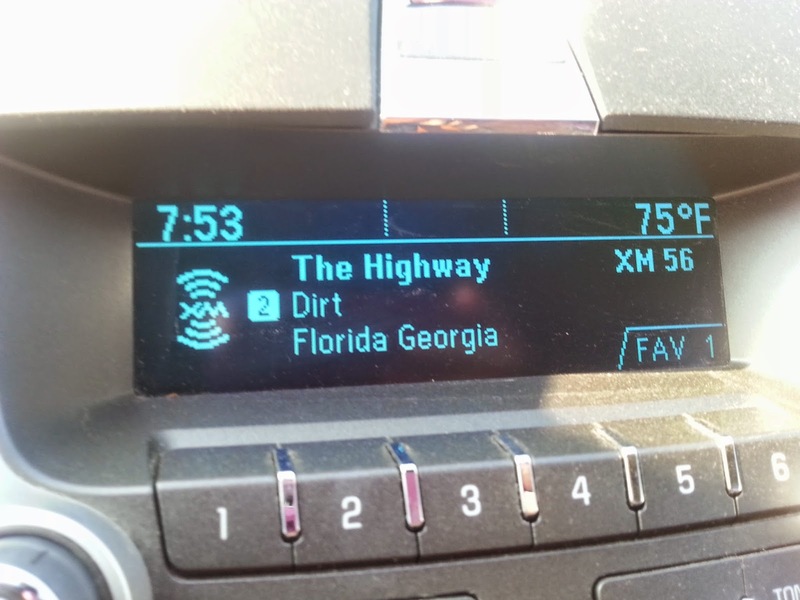 Dirt by Florida Georgia Line. I heard it for the first time this morning. I'm digging it. Seven. I'm going to be linking up with these lovely ladies, Treasure Tromp, The Florkens and Jade & Oak, next Monday for the Don't Try So Hard link up! I love the purpose of it - to "not try so hard," and show your real self. Check it out here. Eight. If you follow me on Instagram, you've seen this. Last Friday night, the boyfriend and I had gluten-free pizza. No, it wasn't Paleo, but at least it was gluten-free. :-) He actually LIKED it! I will eventually bring him over to the healthy, gluten-free, Paleo side one day. Anyway, back to the pizza. We grilled it! I got an Against All Grain gourmet frozen pizza crust from my local health food store. 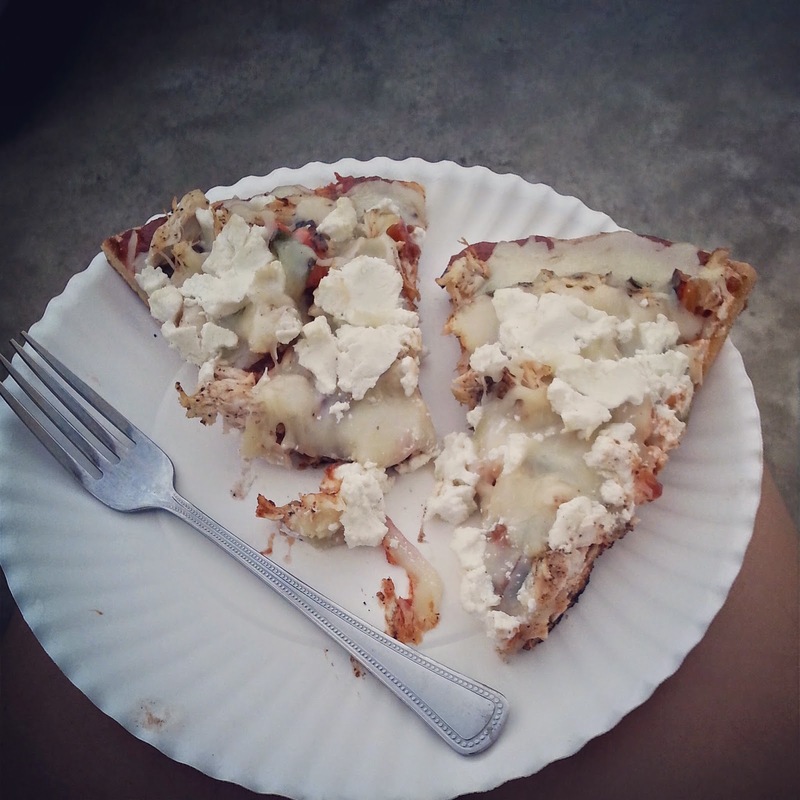 He grilled the crust first, on both sides, then we added organic, sugar-free pizza sauce, grilled chicken, sauteed red peppers, mozzarella and goat cheese. Then put it back on the grill to let it all melt. WIN! As my bf says, it was "delizioso." Nine. I signed up for Ipsy! Thanks to Make Me Up Mia for posting such cute reviews on her monthly Ipsy bag, I decided to give it a try. However, I'm on a waiting list ... Let's hope that list isn't very long. Ten. Last, and certainly not least, Lily. Sorry, this photo is not the best quality. 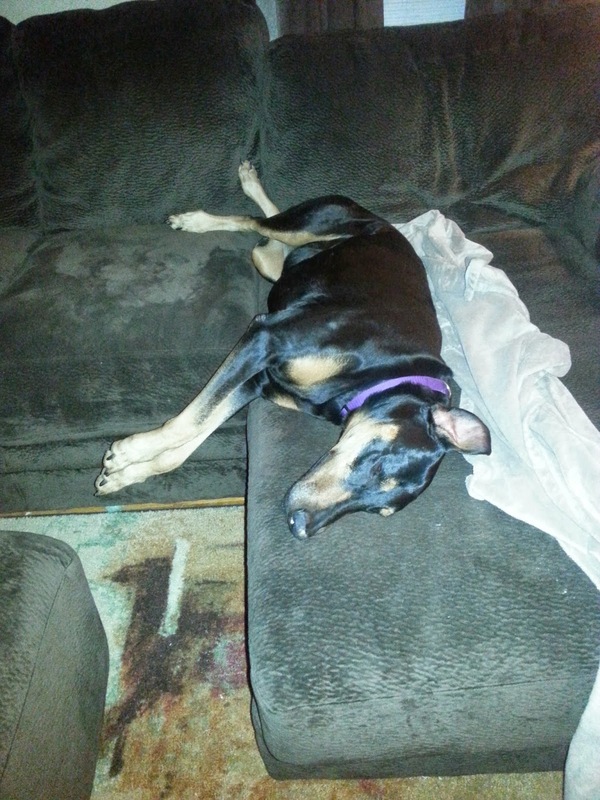 But, she apparently had a long day and passed out before bedtime last night. Being a dog is hard. Thanks for reading! Have a wonderful Tuesday! What's your favorite at-home way to make pizza? Yum, pizza! It's hard to find good vegan cheeses so I don't eat pizza much anymore, but I do love it. 2. 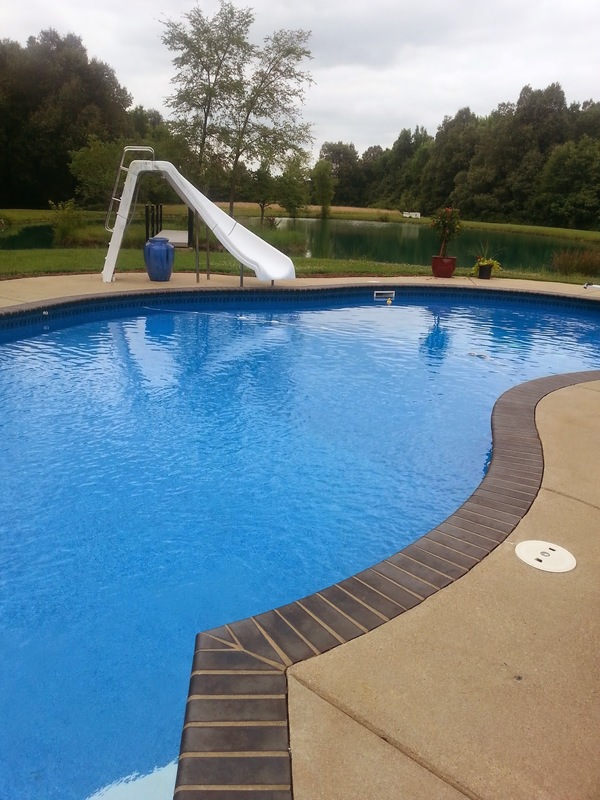 Ah that pool looks awesome! 8. Looks awesome! Pizza always wins. Oh the pool is gorgeous and I love the pen pal idea! I love the pen pal idea, sounds like lots of fun! 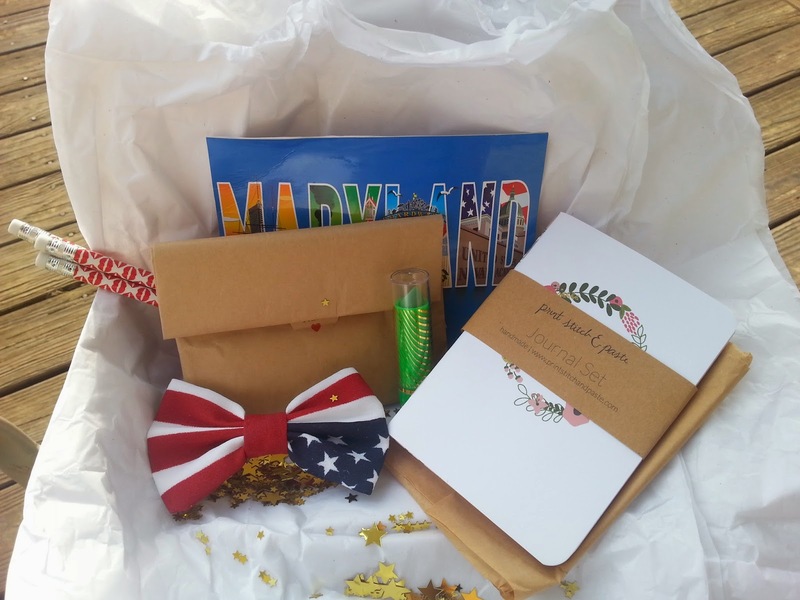 i love blog swaps---the pen pal sounds like a great idea! I am so glad you liked your present!!! Thanks so much for participating with me!